This article is about the fictional event. For the sourcebook on it, see FedCom Civil War (sourcebook). The Federated Commonwealth Civil War (otherwise known as the FedCom Civil War, or simply FCCW for short) was one of the most devastating wars to take place in the Inner Sphere. It lasted from 3062 until 3067 and destroyed hundreds of regiments from the former Federated Commonwealth states; the Federated Suns and Lyran Alliance. In addition, many mercenary units took part in the conflict, and even the Draconis Combine and Free Worlds League were dragged into it. Other factions such as the Capellan Confederation and Clan Jade Falcon took advantage of the situation to gain territory at the expense of the two warring states. The very nature and scope of this conflict make it very difficult to properly cover the war. This was not a traditional war with waves and fronts. Instead, fighting tended to break out between units posted on the same world, often producing no clear winner. In some cases, reinforcements were sent to help capture important worlds (as was the case with Tikonov, Kathil, and Dalkeith), only to find that the other side had done the same, creating "meat grinders" as neither side was able to secure an advantage for any length of time. In a few cases, military leaders like Victor Steiner-Davion, Maria Esteban and Tancred Sandoval were able to assemble task forces, but these were usually employed to take a single objective, rather than create a military front. Even in areas where there were no line units, fighting still took place between militia units, though those events often went undocumented. The main combatants were units who were loyal to either Victor Steiner-Davion or Katherine Steiner-Davion. Besides causing rifts in front-line and militia units, the intelligence agencies of both states also underwent schisms. In addition, there were units and planets that supported neither faction, but used the fighting as an excuse to further their own goals, like the rebellion in the Isle of Skye. Furthermore, some units declared their neutrality in the conflict, but since this involved disobeying orders given by Katherine Steiner-Davion, they were often attacked by pro-Katherine units who viewed them as traitors. This group included the entire Capellan March. Various mercenary units were drawn into this war and many were destroyed. 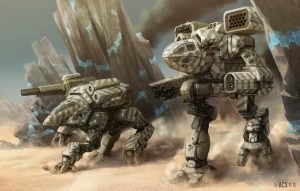 The Draconis Combine became involved in the FedCom Civil War when renegade Draconis March units launched attacks against them between 3063 and 3065. The Capellan Confederation used the war to its advantage by first allying with Victor and then surprisingly conquering Tikonov in 3067. The Taurian Concordat destroyed a regiment of the Fighting Urukhai that entered its territory without permission in 3065. The unit was fleeing the war at the time. The Free Worlds League almost was dragged into this war when its mercenary-unit Kristen's Krushers was attacked by Lyran forces in 3063. Clan Jade Falcon attacked the Lyran Alliance in 3064 to test its troops against the supposedly battle-hardened Lyrans. The genesis of the war lies in the peace proposal Archon Katrina Steiner circulated to her fellow House lords in the mid-3020s. Only Prince Hanse Davion showed any interest, resulting in the Federated Commonwealth Alliance. That document came with a secret provision that betrothed Hanse to Archon-designate Melissa Steiner, a union that would eventually produce a united nation in the person of their child. That child, Victor Steiner-Davion, was born in 3030. The two nations informally merged after Katrina's abdication in 3039, and their armed forces became more unified after the aborted War of 3039. Victor as the eldest child stood poised to take over both nations from his parents after their deaths, but his next eldest sibling, Katherine, schemed to take control. She had their mother Melissa assassinated in 3055, three years after their father's death, making Victor Archon-Prince of the Federated Commonwealth. She further manipulated events by playing up her Lyran nationalism, often leaving the "Davion" off of her surname, and began to refer to herself as "Katrina," after her maternal grandmother. This paid off for her after the Second Skye Revolt, when Victor permanently moved his court to New Avalon and left Katherine as his regent on Tharkad. Katherine took advantage of the Liao-Marik Invasion of 3057 that sought to punish Victor for replacing Captain-General Marik's son with a double by invoking Emergency War Powers and seceding the Lyran half from her brother's realm and recalling all traditionally Lyran units to within traditional borders. In doing so, she gave Marik his objective, so he ceased offensive operations. This situation led to the creation of the Chaos March and forever sundered the Federated Commonwealth. Katherine called her new nation the Lyran Alliance, because she claimed her brother had sullied the term "Commonwealth". Victor made no moves to reclaim his territory, so, when he prosecuted the reborn Star League's war against Clan Smoke Jaguar, he left his ripe Commonwealth open to Katherine. She manipulated their younger sister Yvonne into giving her the regency of the Commonwealth. When Victor returned from Clan space in 3060, he came back to the Inner Sphere a leader without a nation. Though Victor did not want to lead a civil war against his sister, events forced his hand. When a local political leader was deemed dissenting or disloyal, Katherine punished his or her whole planet with economic sanctions, such as rerouting shipments of luxury goods. This led to civil unrest, sometimes against the political leaders of the respective planets and sometimes against inner or outer enemies, or even herself. Katherine also regularly bypassed the military chain of command and gave direct orders to units, creating confusion and encouraging cronyism. Additionally her orders were often so vague, that the commanding officers knew what she wanted, but all the blame would be put on them if anything went wrong. These units were used to restore order on the aforementioned rebellious planets and to secure planets with important installations. One such planet was Kathil with its shipyards. Two chains of command collided: Sharp words were traded and each side considered the other as traitors. In the end, open warfare was inevitable. The third reason was her favoring of Lyran interests. Although Katherine was head of both houses and states, she was supposed to be neutral between the cultures and populations. However she openly favored Lyran interests and military units. This led to a silent dissatisfaction and sometimes demonstrations. When local police and military units tried to contain the problem, it became worse. One such example is Thorin, where Archer Christifori's sister wrote newspaper articles about this unfair behavior. She was accidentally shot and when her killer used his political connections to the Lyran military to avoid prison, Archer started his rebellion. All these were isolated events, but like an avalanche, the battles infested other planets and other minds. Victor viewed the scattered conflicts as a direct result of his sister's lies and manipulations and was confident that she would be dethroned one day. Arthur Steiner-Davion was apparently assassinated, and Victor openly blamed Katherine for his death. Laying aside his new post as Precentor Martial, Victor jumped into the fracas. The leaders of the various rebellions immediately accepted him as an ally or even as their commander. In retrospect, since the first moment Katherine seceded the Alliance from the commonwealth, the war was imminent. The majority of the old Federated Suns population and its nobility never forgave her for, or forgot her actions. Katherine's inclination for her Steiner side almost erased her Davion half, in the eyes of the people. Her constant manipulation and marginalization of the military that served under Victor's flag worsened it still more. Some nobles, most notably George Hasek and Eric Dresari, from Kentares IV never accepted her as Archon-princess. The first spark on the war started on the Game World, Solaris, and the second, Kathil. Solaris is, in some ways, a mirror of the Inner Sphere, and what happens outside reflects inside, so it is not very surprising the war started there. The ComStar garrison on the planet had been transferred away by orders of Katherine, probably because she believed it was loyal to his brother. The tensions in planet grow louder and louder, between the Lyrans and Federated stadiums, and the fight between stables loyal to one or other side end in deaths some times, and the hate between the two sides grow every day, and violence in the streets also. 15 August 3062, the fight transformed into open war. The two factions' quasi-champions, Michael Searcy, from Davion, and Victor Vandergriff from Steiner, fought their championship match in the Steiner Stadium, but a sabotage breached the walls and their fighting spilled into the streets, and the other factions, Liao, Marik, Combine, joined the fighting. In a question of hours, half of the city was a battlefield. Between the factions are a group of Smoke Jaguar clan gladiators allied with Davion stables, but seeking revenge against the Combine, for the annihilation of his clan. The military solution tried by Katrina, sending the 32nd Lyran Guards as peacekeepers, failed miserably: they were defeated by the Davion loyalists and their leader dead. It was not until Searny and Vandergriff resumed his duel in the Steiner Stadium, who ends in their mutual annihilation (only apparently; in reality, Michael survived) than the violence between factions ended, but the fighting never end totally. Despite the war only started later, it may be said the riots of Solaris were the first battle of the war. Kathil, the system with the best shipyards in the FedCom, was the place where the second spark ignited. Obviously, Katherine understood the crucial importance of the warfleet, and WarShips almost only were built in this system. The new Avalon class of ships was in production, and as Kathil was part of the Capellan March (a territory under the command of George Hasek, who didn't accept her as his ruler), she took measures to ensure the control of the new WarShips and the planet. One was to assign at least one Lyran naval officer in every new WarShip, and another, to keep an extra "garrison" on the planet. This garrison, the Eight Regimental Combat Team received orders from her to stay on the planet... ignoring direct orders by Duke Hasek to move to another system. The situation was aggravated when the leader of the Eighth, General Weinthraub ignored direct orders of the Duke of Kathil Petyr VanLees. Frustrated Duke Hasek bought back the First Capellan Dragoons regiment his father had sold. Upon their arrival in system fighting started. The materially inferior forces of the local Kathil Militia with a cadre of NAIS managed to defeat the 8th RCT and secured Kathil for Duke Hasek... and, indirectly, for Victor Davion. Some hopes in Kathil arose that this battle would signal the end of the conflict, but they were thwarted: shortly after, upon the assassination of his brother Arthur, Victor Davion started the fire of the real war. Kentares IV, the site of the infamous Kentares Massacre, was another of the first battlefields an places of the ignition of the war. Eric Dresari, his duke, was one of the strongest oppositors to Katherine. He called her publicly despot and usurper, refusing to acknowledge her as his first Prince. The reaction of Katherine, who probably feared the popularity of Eric increased the number of his oppositors, was swift: she send to Kentares a combat command of the Fifth Donegal Guards under the command of Lord Marcus Roland, to garrison Kentares, ordering him to suppress the anti-Steiner movement by "any means are necessary". And Roland, a brutal, ambitious man, made just that: the protests against Steiner occupation only grew, and he ordered his forces to kill hundreds of protestors, and later assault the Ducal palace, capturing the Dresari family and executed them all. But their victory was one short lived: the brother and son of Eric, Peter Dresari and Ian Dresari returned to Kentares and start a guerrilla war, defeating the Steiner forces and retaking the planet. 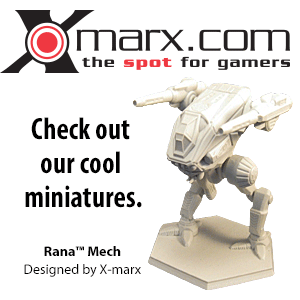 This campaign is shown in the apocryphal game MechWarrior 4: Vengeance. Upon hearing of his brother's death, Prince Victor gathered his loyal forces on the world of Mogyorod and immediately drafted up a plan to take the key infrastructure of the Commonwealth intact. He jumped from Mogyorod to the planet Newtown Square, where he was almost killed by the Lyran troops until rogue ComGuard forces loyal to Prince Victor from his position of Precentor Martial landed on the planet. Victor allowed the Lyran forces (commanded by his cousin Adam Steiner) to retreat. With the new troops in hand, Prince Victor moved against the planet of Coventry, which was one of the greatest production sites for military supplies and 'Mechs in the whole Lyran Alliance. Additionally the Duke of Coventry was a critic of Katherine and had to go underground to evade prison. In a few weeks of low-key fighting, Victor's forces captured the planet and its factories intact, which he used to refit his weary personal units. Coinciding with Victor's march on Coventry was the breakout of major rebellions on the planets Muphrid and Thorin in the Lyran Alliance. Sparked by the accidental shooting of the sister of one Archer Christifori, the Thorin militia revolted and began a guerrilla campaign to dislodge the garrisoning regiment (which proved to be eventually victorious). Prince Victor offered Christifori's troops status as regular troops, and refit many of Christifori's worn-out 'Mechs. The newly-promoted General Christifori, his ranks swelled to two regiments, began a campaign of liberation against planetary rulers accused of cracking down on Davion supporters all across the Alliance. This was noticed by LAAF High Command, however, and a plan was drafted to destroy Christifori's unit. On the planet of Odessa, the ruling Count was told to begin a program of cracking down on dissenters. It was hoped that Christifori would land on the planet and try to destroy the Lyran forces on-planet. Coinciding with the plan, the elite mercenary unit Snord's Irregulars was on-planet pending the signing of a new contract with the Lyran Alliance. A trap was planned to set the two sides against each other, which would fulfil the Lyran goals of destroying Christifori and shaming the Irregulars into signing a new contract. Both units fought hard and suffered heavy losses, until evidence of the plan came up. The Irregulars and Christifori joined forces and destroyed the Lyran troops (another mercenary unit) on planet and captured Odessa. The Irregulars still declined to sign a contract with Prince Victor, however, Christifori came up with another idea to keep Snord's Irregulars from rejoining the Alliance. He offered them a contract with ComStar, guarding a planet right next to the border against Clan Jade Falcon. Realizing that her public opinion was dropping even amongst her normally loyal Lyran subjects, Archon Katherine quietly ordered the elimination of the popular, bizarre and extremely critical artist Reginald Starling. Reginald Starling was the artist-identity of Sven Newmark. Newmark was one of Ryan Steiner's top aides and (except Katherine herself) the only living person who knew that Katherine had ordered the assassination of her mother. Her Loki agents took Starling out, but he left traces for his lover (a secret agent working for Victor) that led her ultimately to proofs of Katherine's vile actions. But the evidence was not enough, so the agent came up with a plan to pretend that Reginald Starling was still alive, just underground. Victor hoped, this would make Katherine so nervous, that she would try to destroy further evidence, leading Victor's agents to it. The main theaters of the war were concentrated around the main manufacturing planets of both the Alliance and the Suns. The fighting on planets such as Kathil became veritable meat grinders for both sides, chewing up any units sent into the fray. Victor's conquering armies swept through the Lyran Alliance, taking many worlds from Katherine's followers. However, Victor's leadership was almost cut short by a near-defeat of his forces on Halfway which left his forces badly battered. General Maria Esteban's combat force (formed by regular units and militias) had set up a trap. Victor stepped back from the fighting, to join the next Whitting Conference on Marik. He successfully persuaded Thomas Marik, head of the Free Worlds League, that Katherine was a very dangerous person. Thomas allowed Victor's participation under one condition: That he would only speak out, if Katherine herself brought up the topic of the FedCom Civil War. Sun-Tzu Liao followed his agreement with Katherine and nominated her for the next Lord of the Star League. She indeed brought up the FedCom Civil War and tried to present herself as willing to negotiate with Victor, thus portraying herself as a caring goodhearted diplomat and Victor as a warmonger. At this point Victor demanded to be heard and Thomas Marik granted his wish. Victor stated that Katherine had killed their mother, but that he had no hard evidence, just like Katherine had no hard evidence for her misrepresentations of Victor. Eventually Katherine was not elected but she had her revenge as well. She hired an assassin who killed Omi Kurita, the love of Victor, to break his spirit. Upon hearing the news of his success, Victor had a nervous breakdown and suffered depressions for almost a year. The offensive of Victor's combat group (which had conquered the heavy industrialized planet Tikonov in a surprise attack) came to a standstill and they returned to Thorin and Muphrid. Only with the help of Kai Allard-Liao and Isis Marik was Victor convinced to refocus on the present. His combat group finally returned to Tikonov, reinforcing his troops. On the Suns front, Archon Katherine was wary that Duke George Hasek, son of the late Marshal of the Armies Morgan Hasek-Davion, would someday challenge her rule. He tried to stay neutral between Victor and Katherine, though he secretly backed Victor, but that was not enough for her. She finally freed up enough forces from various conflicts to be able to send three regiments to the Capellan March capital of New Syrtis. The leader of the March rallied his troops however, and, in months of bitter fighting, drove off the invading units from his capital world. Reinforcements loyal to Victor arrived, but the enemy was already beaten. Ardan Sortek tried to persuade Hasek to support Victor, but he declined. George wanted to keep most of his troops within the Capellan March to guard against Capellan aggression. In 3064, Khan Marthe Pryde wanted to test the newest generation of Clan Jade Falcon's warriors against Lyran forces. She started a full-scale invasion with several Galaxies against heavily guarded planets along the whole border. Later it turned out that she also had wanted to open a new route to Terra, unguarded by the ComGuard, by conquering the planet Rasalgethi. Both Loyalists and Allies combined their forces to turn back the Falcons. Sharon Bryan, the commander of the Melissia Theater, had a plan to lure the Clan forces into attacking Melissia, where they should break on the fortress and the defending regiments "like a wave breaks on a shore." General Adam Steiner knew that this strategy had long been proved fatal against the Clans and pestered Sharon Bryan until she allowed him to draw up a reserve plan. Khan Marthe Pryde attacked personally with the Turkina Keshik, Delta Galaxy and Omega Galaxy. She crushed the defenders which only narrowly escaped from the planet. After this, major resistance in the Melissia Theater was broken. Archon Katherine Steiner-Davion sent a letter promoting Adam Steiner to the commander of the Melissia Theater, but still sent no reinforcements. Archer Christifori united his forces with a reluctant Adam Steiner, who finally agreed to a two-fold plan. Rather then just defending Alliance planets, they would attack Jade Falcon planets as well, forcing the Clan forces to retreat. Christifori and Steiner conquered several planets in the Jade Falcon Occupation Zone, though they suffered heavy losses. On Twycross, a planet which had seen a historic defeat, Christifori challenged the Falcon Guards, one of the most prestigious units of Clan Jade Falcon. He wanted to humiliate them by beating them in honorable combat. However a lazy Tech wreaked doom on Clan Jade Falcon. A technical flaw caused Star Colonel Ravill Pryde to accidentally break zellbrigen, leaving the Falcon Guards victim to the superior firepower of Christifori's troops. In the meantime, Clan Wolf-in-Exile kept reconquering worlds the Jade Falcons had deemed safe. They defeated the Jade Falcons in every instance, taking warriors and 'Mechs as isorla. They even liberated Melissia for the Alliance. Several Jade Falcon units started their own Trial of Annihilation, without approval by Khan Marthe Pryde, against Christifori's forces to wipe out their Clan's shame. This fighting went on for a few weeks until Marthe Pryde called a ceasefire. Both sides met on Blair Atholl, where no clear victor was in sight. Adam Steiner negotiated a cease fire agreement with Marthe Pryde. Each side kept the planets it had conquered. As a result, the Jade Falcons controlled more worlds than they started out with, although they were in a strategically unsound position. Blair Atholl would remain jointly-held. As long as Adam Steiner would send troops to Blair Atholl as sparring-partners for the Jade Falcons, there would be no need for them to attack Lyran worlds. Adam, now not only the commander of the Melissia Theater, but also a popular hero among its soldiers and populations, sent a strongly worded letter to Katherine Steiner-Davion. He declared that he was heavily disappointed that it took rebels and outlaws to save her nation because she did not send reinforcements. Due to her incompetence, he declared the Melissia Theater neutral in the conflict between she and her brother. For the rest of the civil war, units of neither side were allowed to stay in the Melissia Theater. By 3066, the war had become more of a battle of attrition across both of the afflicted realms, as Prince Victor's forces advanced against Archon Katherine's Lyran troops, and began to plan attacks on the respective capitals of both of the realms. It was decided that Victor himself would lead the attack on the Davion capital world of New Avalon, where Katherine and seven regiments of elite loyalist troops awaited the inevitable assault on the capital world. While Victor was tempted to just go for the kill with all of his available forces, he and his advisers realized that the conflict could not end until Nondi Steiner was defeated on Tharkad. They needed a political joker, someone trustworthy to Victor and to the Lyran people. Morgan Kell went to the desert planet Zaniah III in early 3067, where Peter Steiner-Davion was hiding, living among monks. He wanted to stay out of the cruel political games that were so common in the Inner Sphere. But in the end, Morgan Kell persuaded Peter that he had to return, for the good of the Lyran people. In early 3067, the attack on New Avalon commenced, with Prince Victor leading a gigantic assault force to the planet. After a long and costly WarShip battle above the skies of New Avalon, Victor's forces emerged triumphant and landed on the planet, joining with a task force already there under the command of Field Marshal Tancred Sandoval. Immediately upon landing, the fighting commenced, and went on for several grueling months against Katherine's elite troops. Victor's forces, although nearly losing at one point, were bolstered by veteran troops (the Davion Light Guards and others) brought to New Avalon by Ardan Sortek. Those reinforcements pushed back Katherine's forces until they finally reached the Davion Palace. Katherine waited too long to flee and in the end Victor's forces blocked all escape routes. Confident that she would find a way to talk herself out of this situation in any court, Katherine ordered the surrender of her forces through former Marshal of the Armies Jackson Davion. On April 20th, 3067, the Second Battle of New Avalon ended in victory for Allied forces under Victor Steiner-Davion. Simultaneously, Prince Peter arrived on Tharkad along with troops representing the whole spectrum of the Lyran Alliance, including regular units, Skye loyalists, the Kell Hounds, and forces of Clan Wolf in Exile. Peter not only battled for a planet. He tried to truly represent the Lyran Alliance to the population of Tharkad. Accordingly, the Avalon Hussar regiment in his combat group never saw battle. They successfully pushed back Nondi Steiner's forces until they reached the Tharkad palace. There, in an urban area, Peter and Nondi Steiner happened to end up in a direct fight, where he killed her with a shot to the cockpit on April 2nd, 3067. With Katherine's surrender to Victor's forces on New Avalon, and Peter taking control of Tharkad, the FedCom Civil War had come to an end. It was expected that Prince Victor would take over both of the realms again to rule as the Archon-Prince of the reunited Federated Commonwealth. Subsequently, it came as a great shock when Prince Victor abdicated the thrones of both of those realms, instead giving them to his siblings Peter and Yvonne to rule in his place. Peace and order were restored. Only minor battles remained, with commanders loyal to Katherine unwilling to give up. Initially, Katherine was to be interred in a palatial prison under the wary eyes of the exiled Wolves. But then Khan Vlad Ward of Clan Wolf showed up on Arc-Royal. He demanded the extradition of Katherine to Clan Wolf, knowing that re-educating her into a Clan Warrior was the only way she would finally understand his motivations. He threatened the assembled leaders with a renewed offensive (the Truce of Tukayyid having expired one month prior to the conference) unless he got his way. Victor complied, and handed over Katherine to Clan Wolf. Victor was allowed to resume his role as the Precentor Martial of ComStar, on the condition that he would never again interfere with political decisions of the Inner Sphere. One unintended side effect was the increased presence of raids by Nueva Castilian forces along the Lyran Alliance border. The formation of the Fronc Reaches was also a result of the Taurian Concordat's fear that the Federated Commonwealth would use a war with the Concordat to rejoin both halves of the Commonwealth. Several FedSuns companies based in the Outworlds Alliance had to withdraw due to the confusion of the Civil War. Despite this, many FedSuns companies continued to do business with the Alliance, stimulating that realm's economy. At the same time the Alliance welcomed new immigrants who sought a peaceful existence after the chaos of the Civil War. The Rim Collection also found its trade with the Lyran Alliance cut down by the activities of the Civil War as transport ships became rarer. The immediate consequences of the war were, obviously, the definitive rupture of the Commonwealth. The far consequences are much more devastating: the damage suffered by the two kingdoms was the reason which their new leaders choose to leave the Second Star League, dissoluting it, and triggering the the Blakist orbital bombardment of Tharkad, the earliest stage of Word of Blake Jihad.